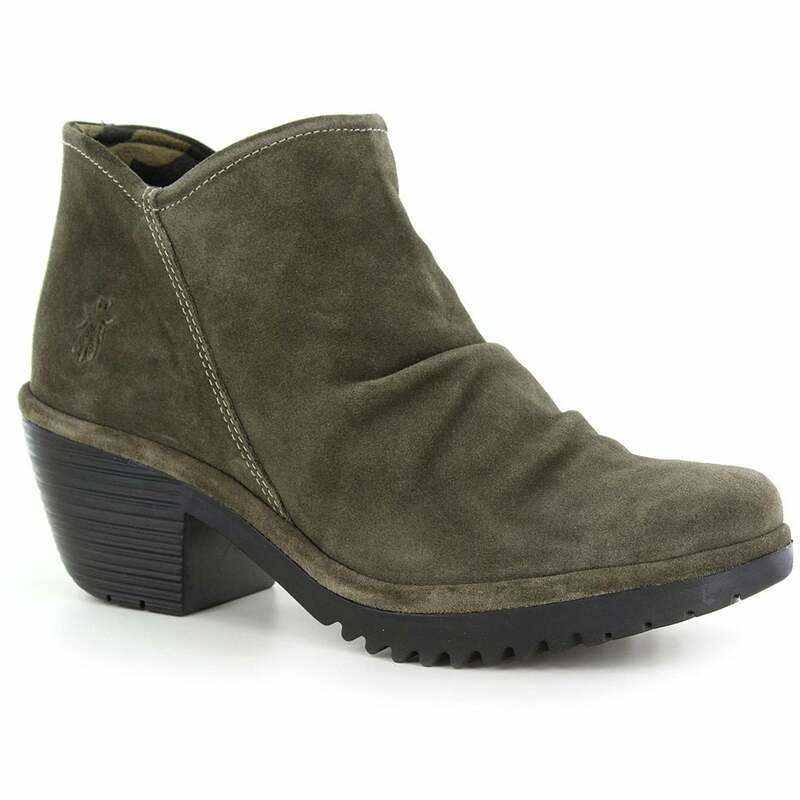 The WEZ0890FLY ankle boot from Fly London offers real comfort and has been crafted from dark green coloured suede leather. The bottom of the boot is embossed with the iconic Fly logo. Upon the comfortable footbed lies a bold print. Inside, the Fly London WEZ0890FLY is lined in soft suede like textile while its well padded insole is covered in a bold floral print.